Blackpool is a popular seaside resort and one of the most well-known tourist destinations in the United Kingdom. Its various attractions such as Blackpool Tower, Blackpool Pleasure Beach, Blackpool Illuminations and Winter Gardens draw millions of visitors per year. 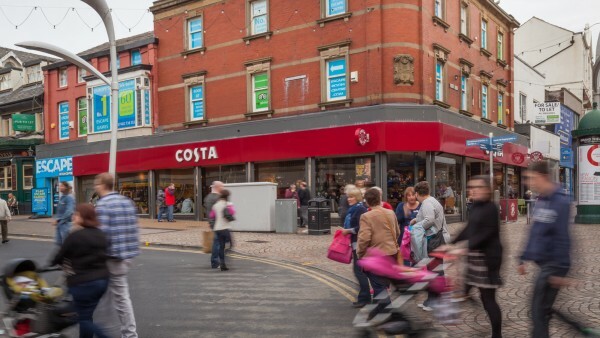 The town is located approximately 80 km (50 miles) north-west of Manchester, 88 km (55 miles) north of Liverpool and 26 km (16 miles) west of Preston. 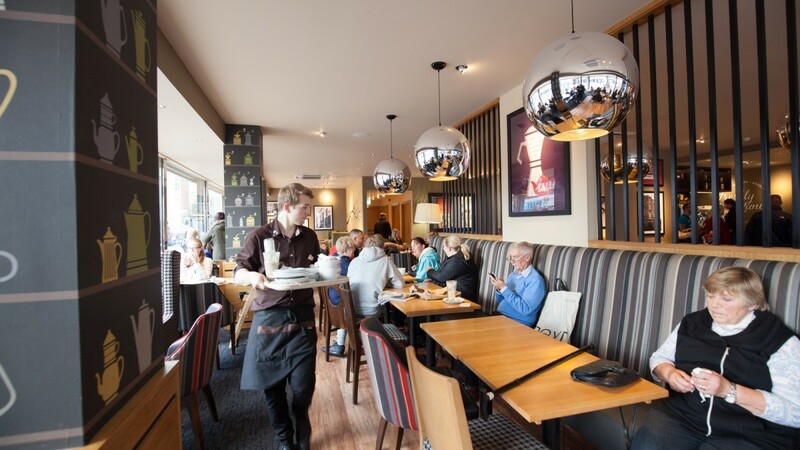 The town benefits from good road communications being served by the M55 Motorway which in turn links with Junction 32 of the M6 Motorway some 24 km (15 miles) to the east. Blackpool is also well connected to the national railway network with a fastest journey time to London Euston of 2 hours 45 minutes. 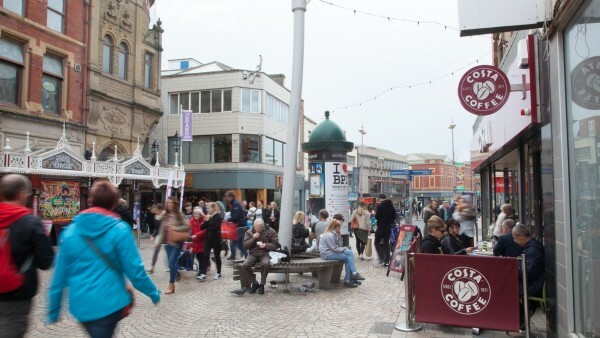 Hourly services connect Blackpool South station to East Lancashire and there are also direct services to Blackpool North from Manchester International Airport, Manchester Piccadilly, Manchester Victoria, Liverpool Lime Street and York. 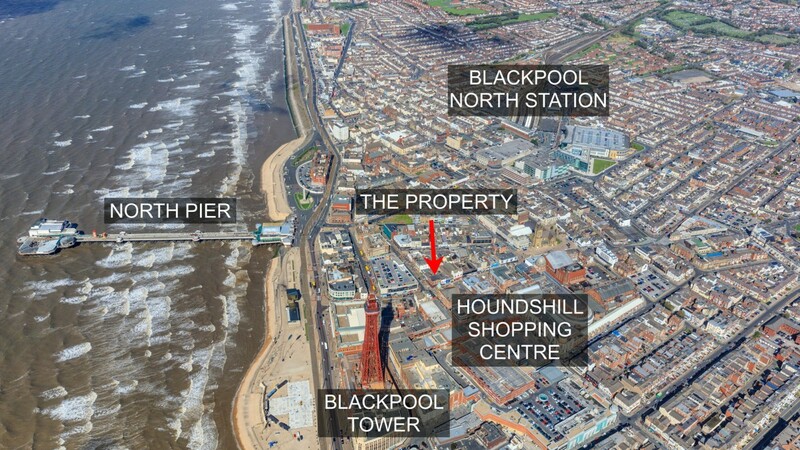 Blackpool is within easy reach of a number of ferry ports covering crossings from Ireland, Isle of Man and the Netherlands. Blackpool Airport provides regular flights to the Isle of Man, Belfast and Dublin. 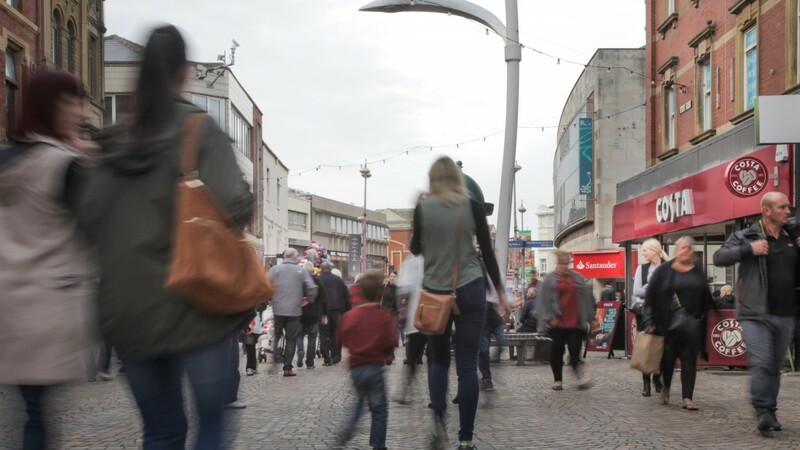 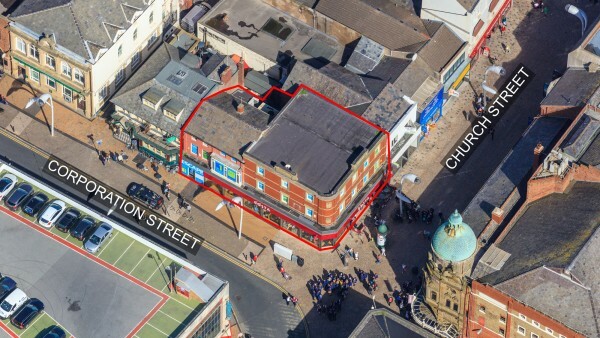 The property is situated in a highly prominent retailing pitch on the pedestrianised Church Street, at its junction with Corporation Street, in the heart of Blackpool town centre. Surrounding occupiers include Marks & Spencer, Nando’s, Carphone Warehouse, Santander, Greggs and Bella Italia. 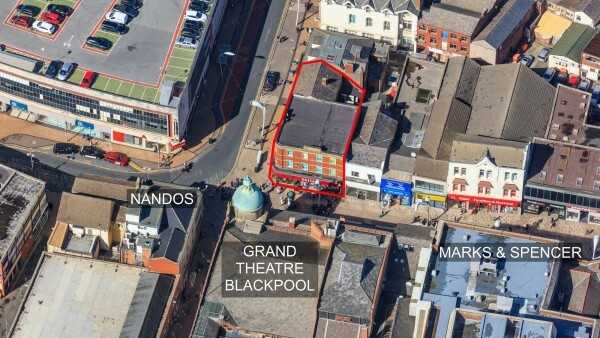 The Grand Theatre Blackpool is immediately opposite and the Houndshill Shopping Centre is directly to the south. The Centre totals approximately 27,685 sq m (298,000 sq ft) and comprises 70 retail stores and 800 car parking spaces. 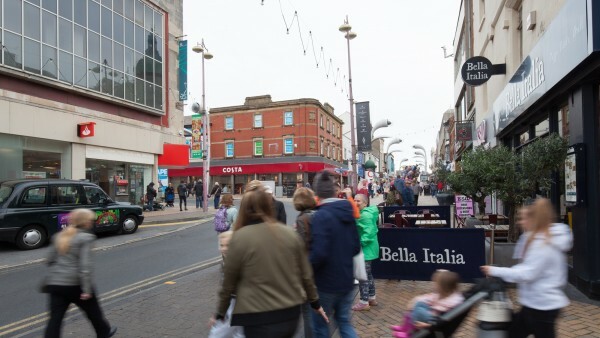 Occupiers include Primark, Debenhams, Next, Boots, New Look, River Island and H&M. 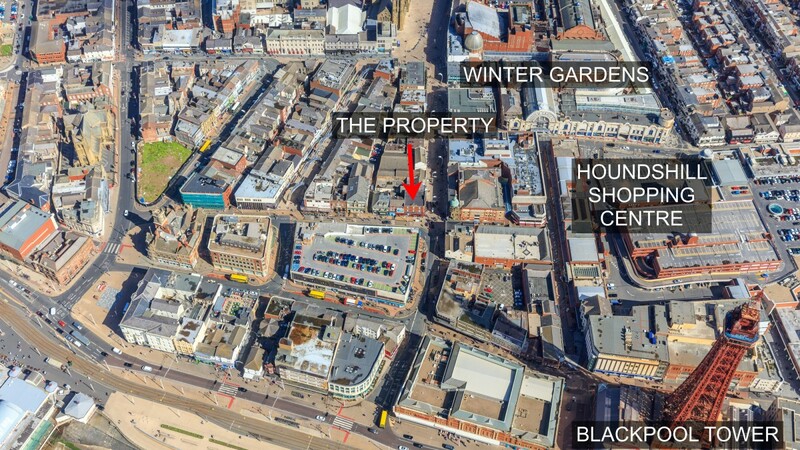 In addition, Winter Gardens Blackpool, one of the UK’s largest theatres, is within a few hundred yards of the subject property on Church Street. 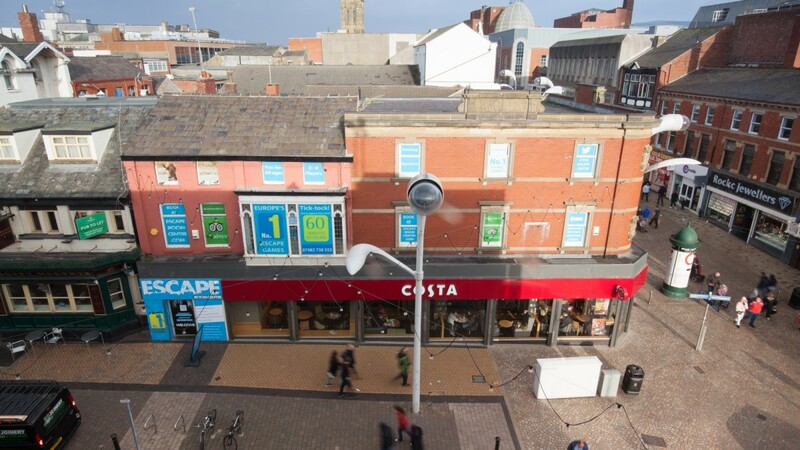 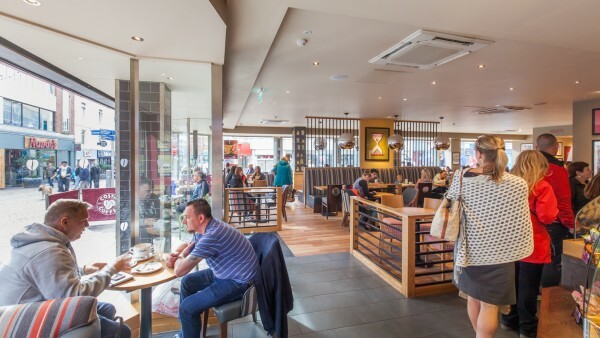 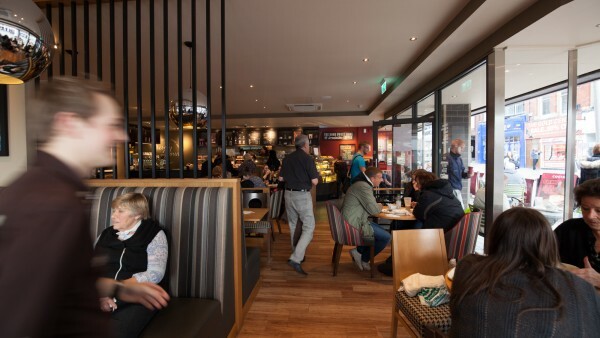 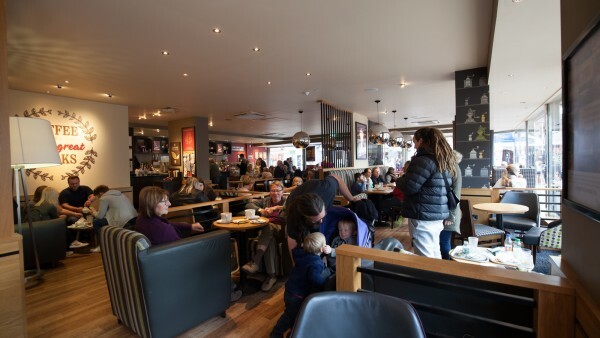 The property comprises a ground floor unit, which has been recently fitted out by Costa Coffee in their new corporate style. 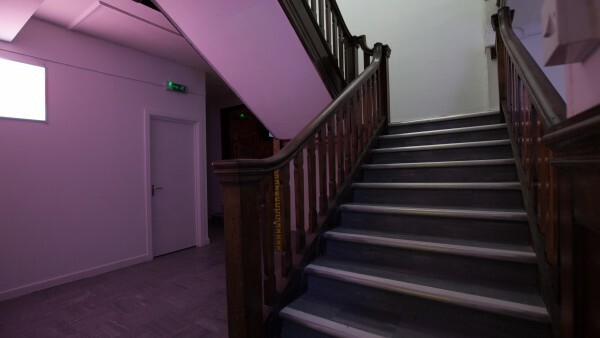 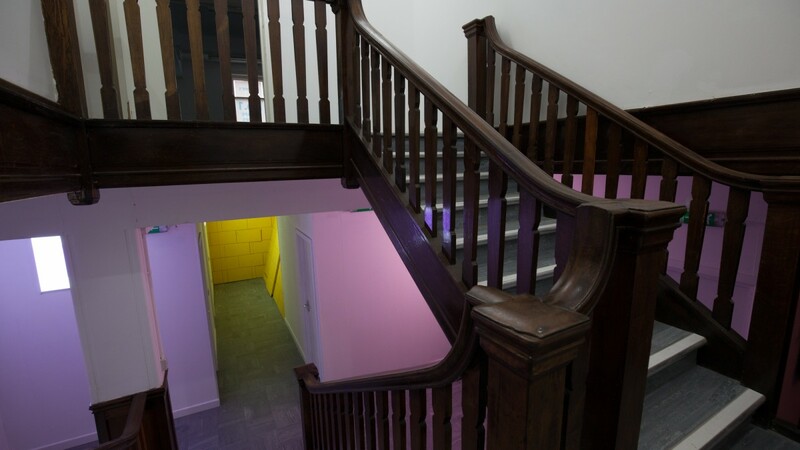 The first and second floors have been fitted out for leisure use as a physical adventure game centre. We understand the property is locally listed and located within the Blackpool Town Centre Conservation Area. 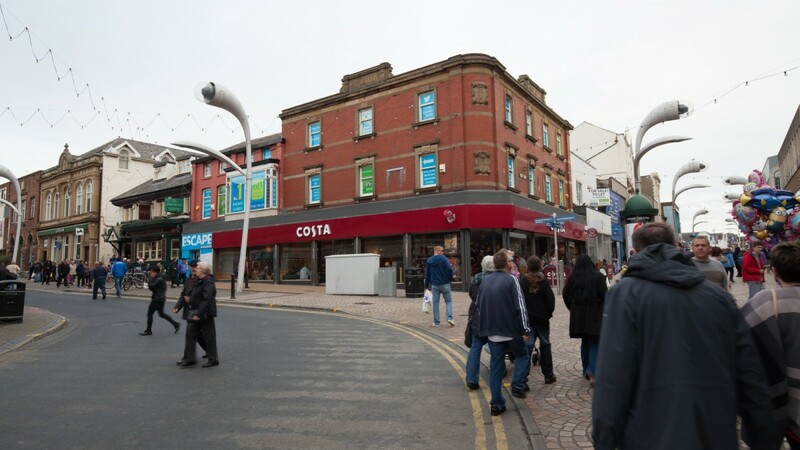 We understand that the Rateable Value for the property is £80,000, according to the Valuation Office Agency's 2017 draft valuation. The ground floor is let to Costa Limited on a full repairing and insuring lease for a term of 10 years from 1st June 2015, expiring on 31st May 2025. 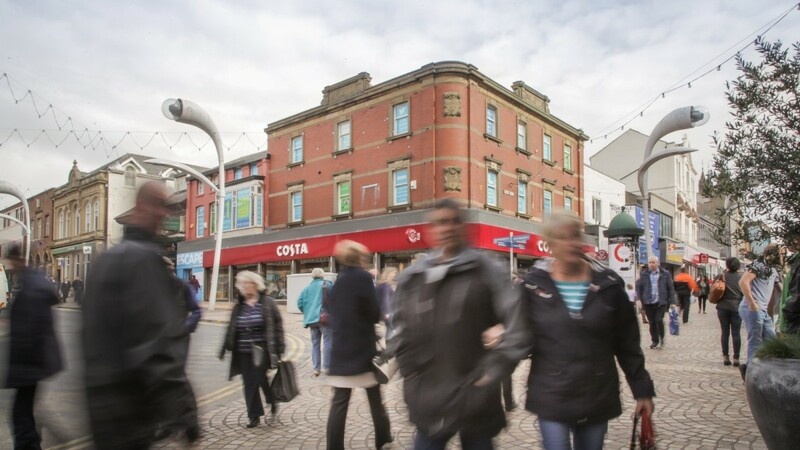 There is a tenant’s break option on 1st June 2021, subject to six months’ prior notice. The current passing rent is £50,000 per annum which we calculate equates to £34.36 Zone A. 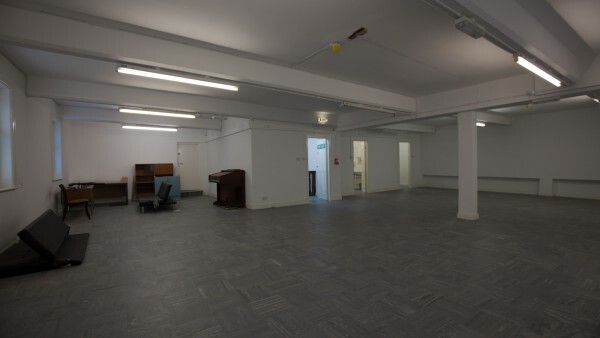 The lease benefits from an upwards only rent review on 1st June 2020. 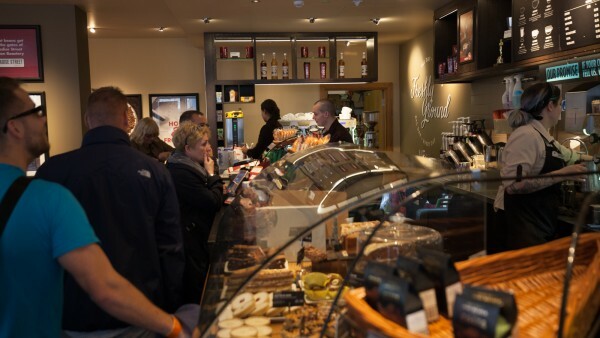 The permitted use is as a retail coffee shop within Class A1 and/or A3 of the Town and Country Planning (Use Classes) Order 1987. 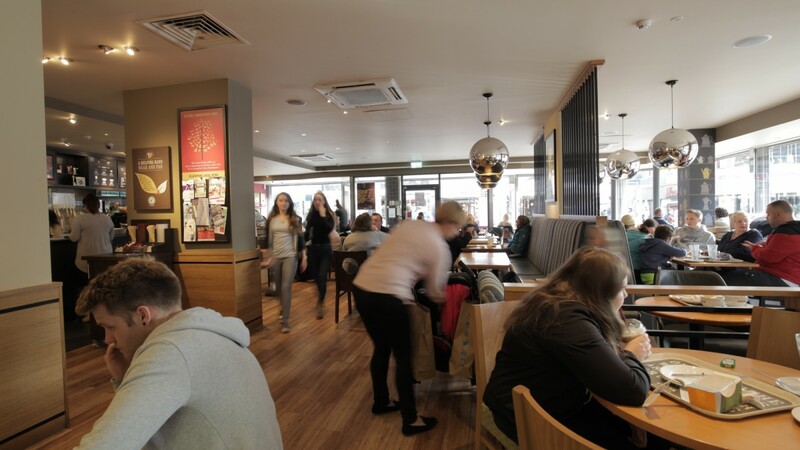 The permitted use is as team building activities and associated activities entertainment and games within Class D2 of the Town and Country Planning (Use Classes) Order 1987. 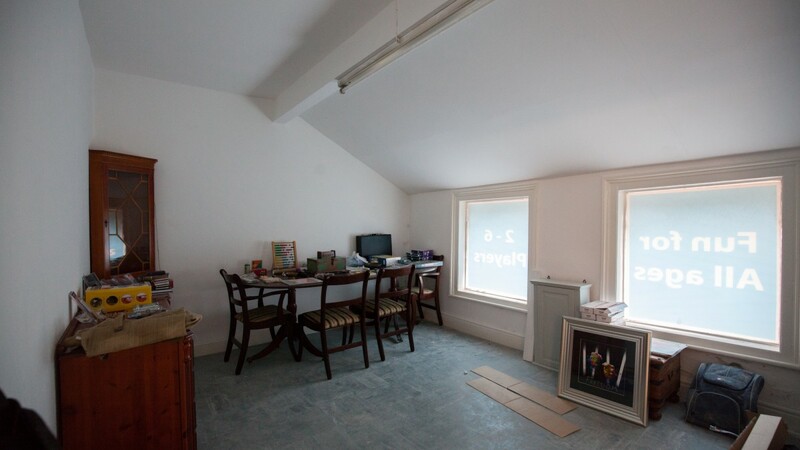 The lease is outside 1954 Act protection. Therefore, an investor will benefit from a total initial income of £55,000 per annum. 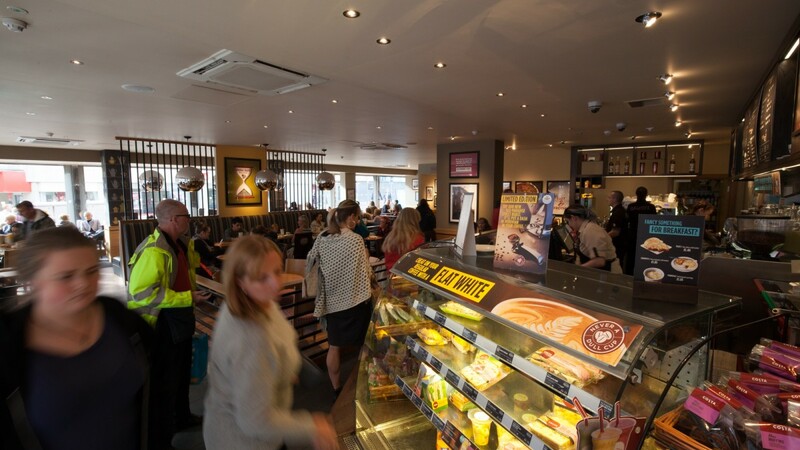 For more details go to www.costa.co.uk and www.whitbread.co.uk. Escape Room Centre Limited (Co. No. 10153990) is a newly formed company incorporated on 28th April 2016. 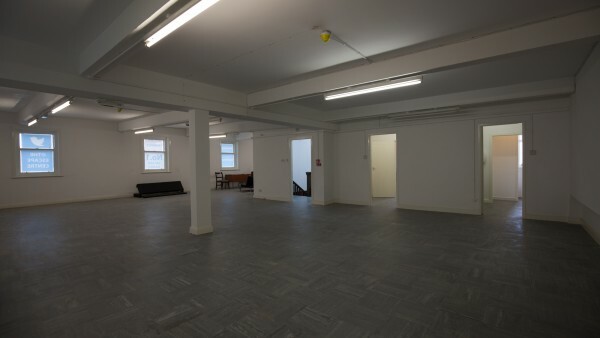 Therefore, no company accounts have been published yet. 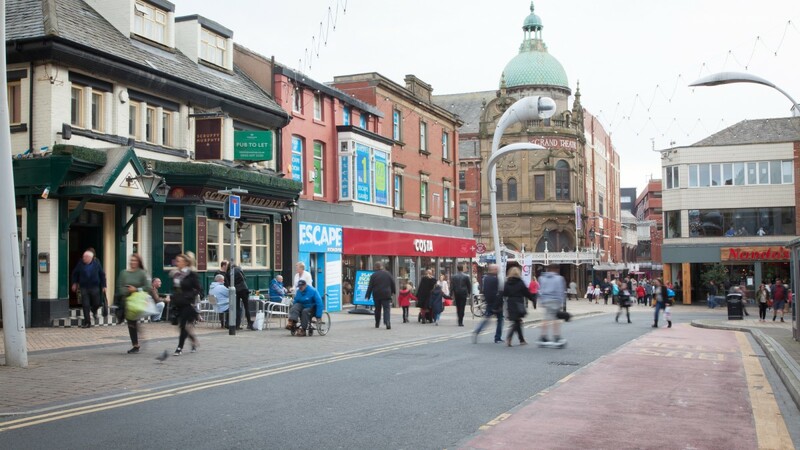 For the year ending 30th June 2015 the guarantor, Premier Cabs (Blackpool) Limited (Co. No. 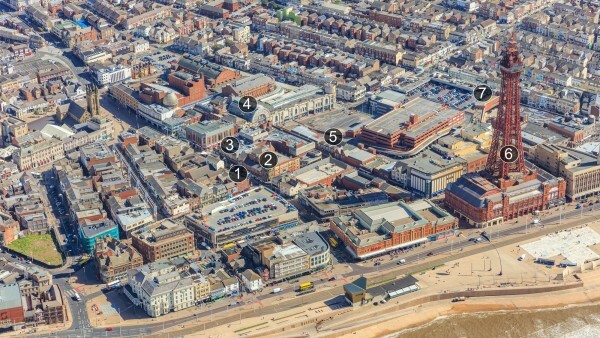 02941228) reported Shareholders’ Funds of £742,503. Escape Room Centre is a physical adventure game whereby participants are locked in a room and have to use elements of the room to find clues, solve a series of puzzles and break codes in order to escape within a set time limit. 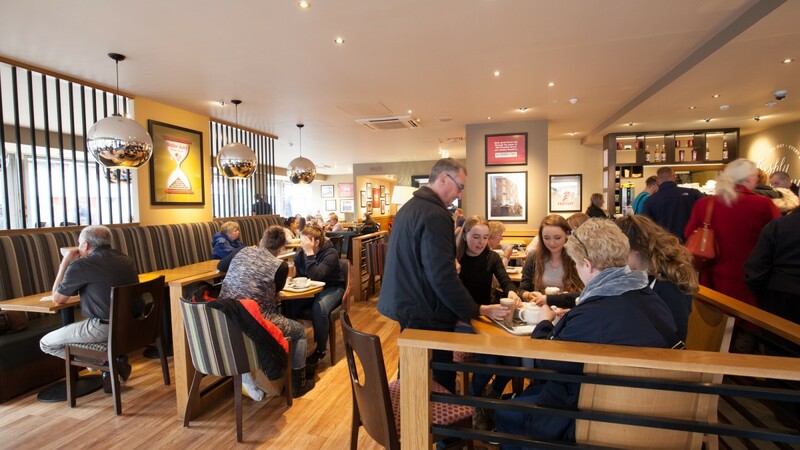 The games cater for everyone from friends and family to work and corporate team building. 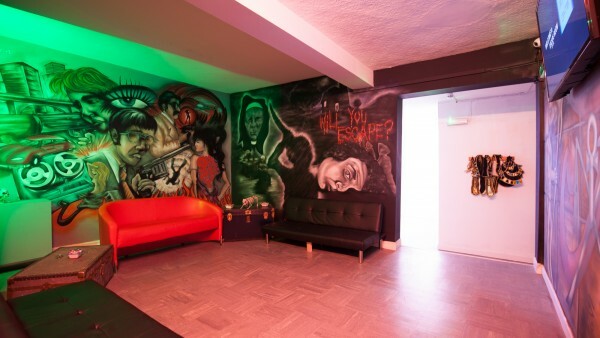 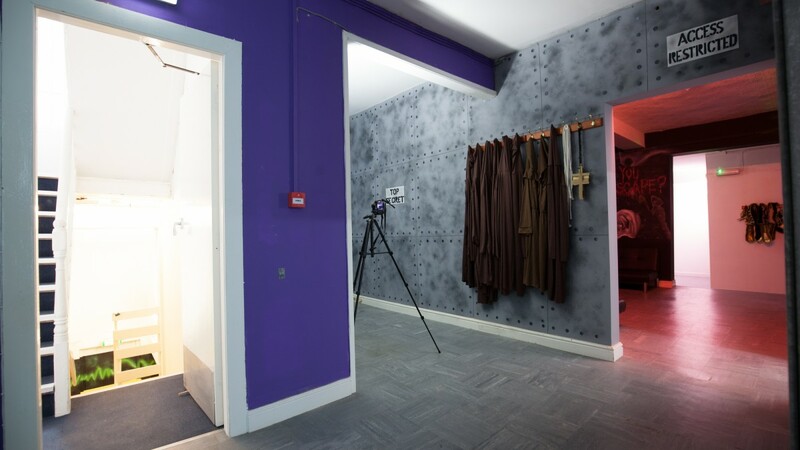 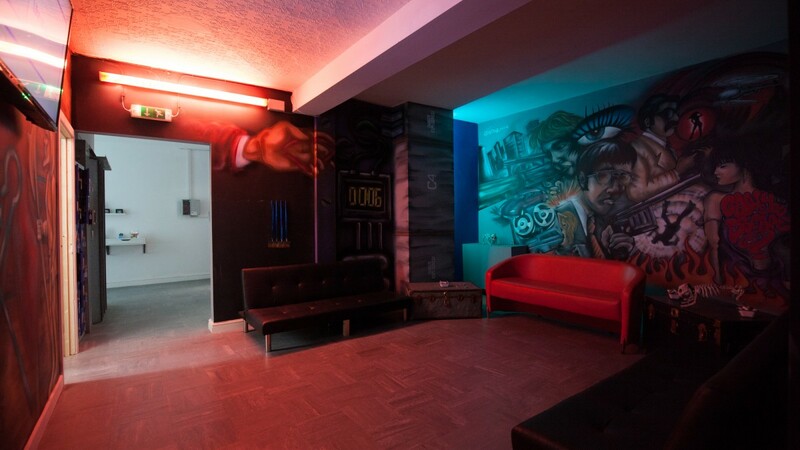 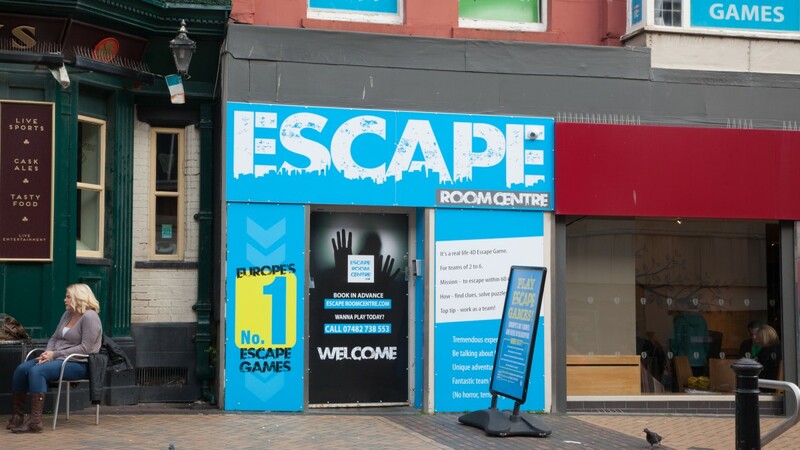 We understand the tenant has a second Escape Rooms Centre on the outskirts of Blackpool town centre. 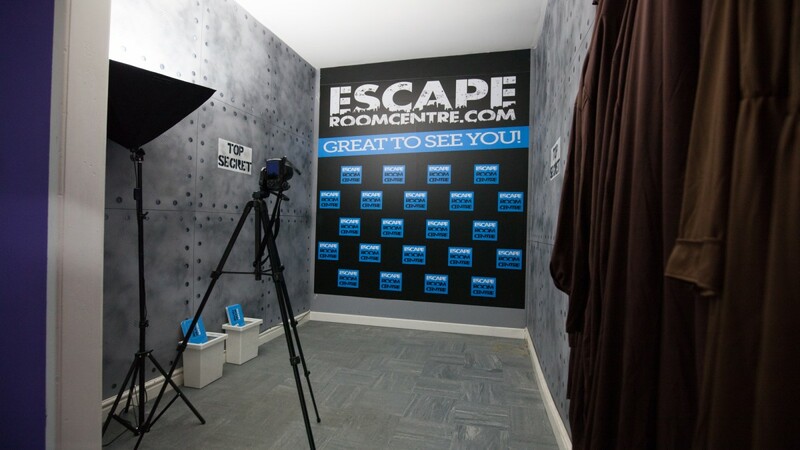 For further information visit www.escaperoomcentre.com. The property has not been registered for VAT. 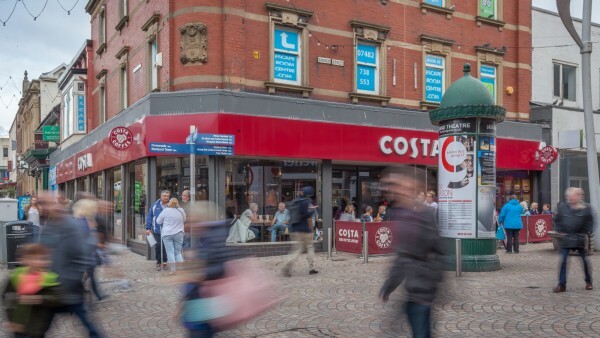 We are instructed to seek offers in the region of £630,000 (Six Hundred and Thirty Thousand Pounds), subject to contract, reflecting a net initial yield of 8.3%, assuming purchaser’s costs of 5.13%.